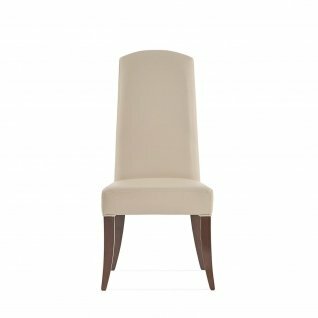 Tobias dining chair has a solid wood frame with maple veneer details and high gloss lacquered finish, it is upholstered in a Beige genuine leather. Wonderland luxury dining chair has a rose gold polished stainless steel frame and soft black tufted velvet upholstery adorned with clear crystals. Available in Black, Brown, Blue and White colors. Belladonna chair is a luxury dining chair with polished stainless steel base and pearlized textured faux leather upholstery Available in Taupe, White, Black and Gray colors. Belladonna chair is a luxury dining chair with rose gold polished stainless steel base and pearlized textured faux leather upholstery Available in Brown and Black colors. Regina Silver luxury dining arm chair has a polished stainless steel rose gold electroplated frame and soft tufted velvet upholstery. Available in Black, Taupe and gray colors. Regina Silver luxury dining chair has a polished stainless steel rose gold electroplated frame and soft tufted velvet upholstery. 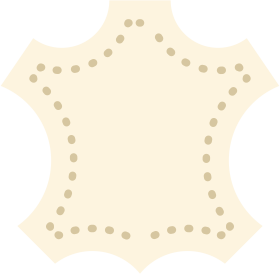 Available in Black, Taupe and gray colors. 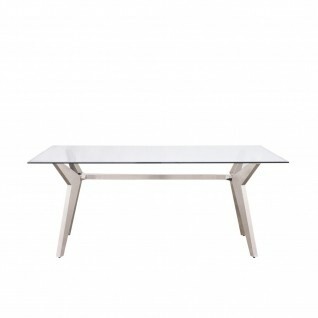 Rendel Modern Office Desk features clear 15mm glass top with silver brushed s. steel base and a polished silver connection detail. 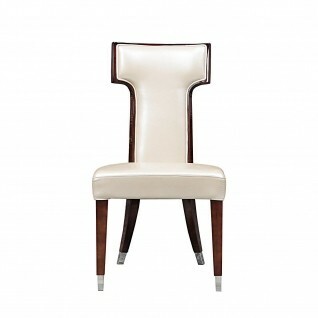 Milano dining Arm chair is upholstered in luxurious beige leather sit cushion and back with a high gloss burl veneer. The luxurious Milano arm chair has a sophisticated back upholstery detail which compliments the incredible design of the chair. 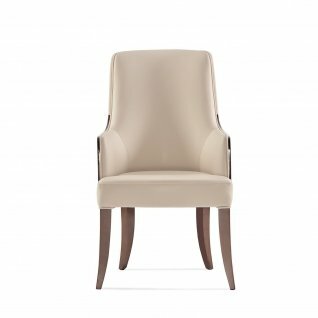 Milano dining chair is upholstered in luxurious beige leather sit cushion and back with a high gloss burl veneer. The luxurious Milano chair has a sophisticated back upholstery detail which compliments the incredible design of the chair.